From Bruce Willis to The Rock, bald men in Hollywood are regularly cast as dominant characters in action films. And it seems that while many men worry about losing their hair, baldness could be linked to a range of beneficial traits. Studies have shown baldness in men is seen as a non-threatening form of social dominance. Bald men are also thought to be more socially mature, intelligent, educated and honest compared with men who have a full head of hair. Researchers believe baldness evolved evolved to signal a form of non-threatening social dominance. By age 35, around 45 per cent of men have noticeable hair loss, increasing to 65 per cent of men by age 60. The trait is often inherited and can be seen in every ethnic group. This made researchers question why the trait had not died out, despite being perceived as a bad thing. Several years ago, researchers from Barry University in Florida performed a study to test why baldness was continuing to evolve. To understand why baldness would be passed on, the researchers asked people to view and rate a range of men on four independent scales. These measured physical attractiveness, aggressiveness, appeasement, and social maturity – a measure of factors including honesty, intelligence, and social status. The results showed men with a full head of hair had the lowest ratings of social maturity, the men with receding hair higher, and bald men the highest. Most baldness is caused when hair follicles, the tiny sacs in the scalp from which hair grows, become exposed to too much dihydrotestosterone (DHT). This is a chemical produced by the male hormone testosterone. If there is too much DHT circulating in the blood, the follicles shrink, so the hair becomes thinner and grows for less time than normal. In addition, ratings for diplomacy were in a similar direction, and ratings for aggressiveness in the opposite direction. As expected, ratings for physical attractiveness decreased with increased baldness. But Dr Muscarella said: ‘It could be speculated that although the characteristic of baldness decreases a man’s perceived physical attractiveness, it increases his perceived social dominance. ‘There is a large body of literature that shows that although women like physically attractive men, they are also very attracted to signs of high social dominance. More recently, Dr Muscarella performed an unpublished study, which showed that there was no relationship between the amount of baldness a man exhibited and the number of sexual partners he had over his life. A study in 2010 found men who start going bald at a young age are up to 45 per cent less likely to fall victim to prostate cancer later in life. The scientists, from the University of Washington School of Medicine in Seattle, studied 2,000 men aged between 40 and 47, half of whom had suffered prostate cancer. Their results showed that men who had started to develop bald spots on the top of their heads as well as receding hairlines had the least risk of cancer. ‘At first, the findings were surprising,’ said Professor Jonathan Wright, who led the study. Those diagnosed with prostate cancer are often given drugs to reduce testosterone levels because the hormone can accelerate the growth of some tumours once they develop. But the research suggests being exposed to high levels of testosterone from a young age might actually help to protect against the disease. While this does not necessarily show balding men attracted more women, it does suggest the baldness is not an impediment for men in attracting women. Baldness results from the follicles producing the same type of hair – known as ‘vellus hair’ as found in infants. Dr Muscarella said: ‘The bald head of infants are appealing, appeasing, and send a signal that makes one want to approach them and touch them. ‘One might say the same of Santa Claus’s bald head. These findings suggest instead of spending billions each year trying to reverse or cure their hair loss, men experiencing male pattern baldness could shave their heads. Going bald could also have benefits for men’s health. 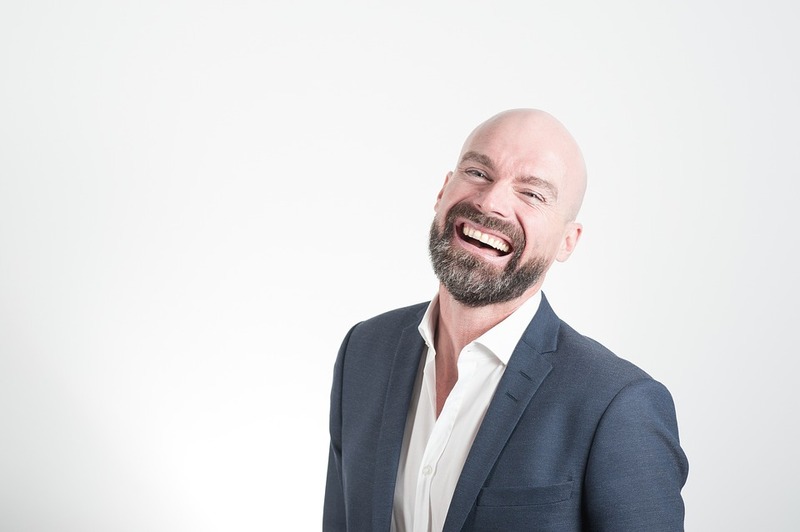 A study in 2010 found that men who start going bald at a young age are up to 45 per cent less likely to fall victim to prostate cancer later in life. Their results showed men who had started to develop bald spots on the top of their heads as well as receding hairlines had the least risk of cancer. Overall, it seems that going bald could help men get ahead – whether it’s appearing more dominant and intelligent, or in reducing the risk of prostate cancer. This could explain why the trait seen by many as a problem, has continued to be passed through generations.